A couple of weeks ago I had a movie night, but instead of searching through my DVD collection/Netflix I decided to flip through iTunes for a new release. I had heard great things from friends about McFarland, USA so I decided to order it … and I ended up absolutely loving it! I have always been a sucker for excellent sports films, especially ones about underdogs, therefore I was blown away by the story of Coach Jim White and the boys of the McFarland cross-country running team. If you have a similar taste in films, keep reading for a full overview and also checkout the link below for a previous CCC “Tuesday Top 5” covering my favourite sports films. 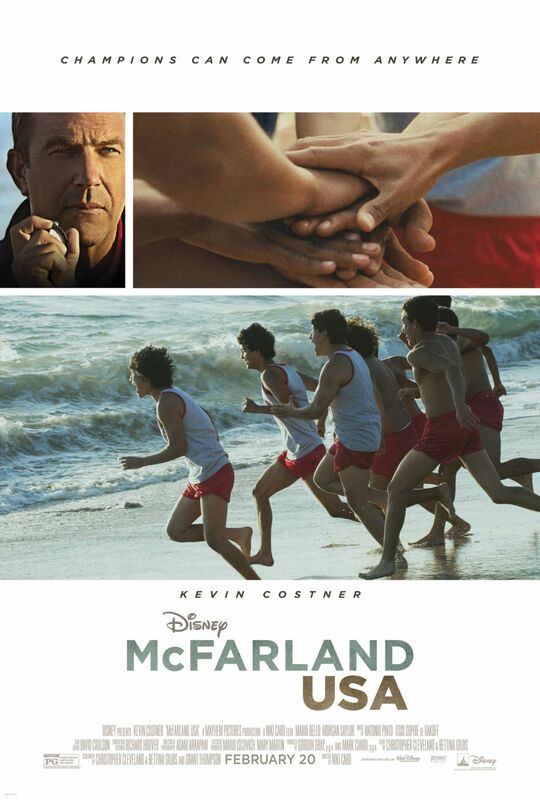 McFarland, USA is a sports drama film based on the true story of a 1987 cross-country running team from a high school with a strong Mexican-American student base in McFarland, California. The film was produced by Walt Disney Pictures, was directed by Niki Caro, and was written by Christopher Cleveland. 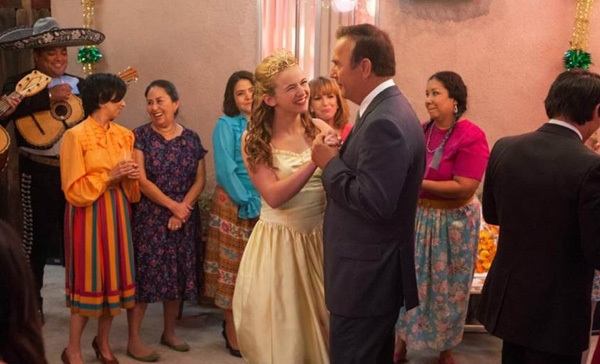 McFarland, USA begins with Coach Jim White and his family settling down in a predominantly Hispanic neighbourhood in McFarland. They relocated in order for Coach White to start a new job as a life science/PE teacher, as well as an assistant football coach, at McFarland High School. The White family are clearly unhappy about the relocation as both girls have to start a brand new school, attempt to make new friends, and are clearly uncomfortable with their living arrangements. Coach White is also in some distress as his PE students clearly lack interest in his class, and the head coach of the football team gets Coach White fired from the team after he decided to sit a concussed player. However, after the struggle of the initial few weeks, Coach White begins to notice that a few of the boys in his PE class, as well as a student named Thomas Valles (Carlos Pratts) who runs through the fields by his house, all run exceptionally fast. After doing a little bit of research, Coach White goes to Principal Camillo (Valente Rodriguez) to propose that he should allow a cross-country team to compete at the upcoming State Championship. Coach White convinces Johnny Sameniego (Hector Duran), the concussed football player, to join the new cross-country team and to help him to recruit six more runners. Most of the boys are reluctant at first, especially the fastest runner Thomas Valles. However, Coach White uses his knowledge of Thomas’s fighting problem as leverage to get Thomas out of a suspension and onto the team! After a few practices and some make shift uniforms, Coach White and the boys head to their first meet in Palo Alto. The boys clearly have raw talent, however, Coach White did not research the track well enough to know that he should have been training them on hills versus flat roads. As a result, McFarland comes in last place at the first meet and although Coach White takes full responsibility, it is clear that the boys are discouraged and might not want to come back. After arriving home late for his daughter Julie’s (Morgan Saylor) birthday, Coach White decides to take a drive around town when he comes across a severely depressed Thomas. This is the exact moment he started to become more than a coach, and truly began to understand the difficulty his runners face as the result of the stress placed on them at home. Many of the boys on the team have to help out their families by working the fields before and after school. Therefore, a few of the boys are pulled off the team, and Coach White takes it upon himself to approach their parents. In an effort to convince the boys’ father to let them back on the team, Coach White decides to help out working the fields one morning. He states that it was the hardest day of work in his life, but as a result he earns the respect of the family. Therefore, the boys work out a practice schedule that will allow them to enough spare time to keep helping to work the fields. After a few weeks of training the boys enter the qualifying race for the State Championship. There hard work clearly paid off as they end up earning the fourth team position, which qualifies them and keeps their dream of winning the State Championship alive. I don’t want to give anymore of it away, however, I will say that I thoroughly enjoyed McFarland, USA and I highly recommend it to absolutely anyone who wants to watch an excellent film. It is a true feel-good film that is fit for all ages and you will not be disappointed in purchasing/renting it. If you haven’t seen it yet, you should SKIP THIS SECTION and move onto the rest of the post as the next few bullets will contain MULTIPLE SPOILERS! The look on Kevin Costner’s face near the beginning of the film when the neighbour gives him a chicken as a welcome gift was absolutely priceless! I couldn’t help but laugh at Coach White’s gimmicky props in the first half of the film. Such as his use of the baking timer instead of a normal stopwatch, and his adorable bike that he used to train with the boys! I loved the scene where Coach White suggests to the neighbourhood men to move the table in his backyard to the garage, but instead they tell him to wait. Then moments later all of the neighbourhood ladies show up to take charge in order to coordinate a stunning Quinceanera for Julie. Speaking of the Quinceanera, Julie looked stunning, her dance with her dad was precious, and the romance between her and Thomas was adorable. I loved that whole sequence, as we got to see the culture of the town come to life as well as the family side of Coach White. I loved the evolution of the film, both in regards to physical skill and character development. Coach White learned how to be a better father, coach, and friend, while each of the boys increased their overall physical ability as well as their teamwork skills and mental toughness. The ending reel of clips & information all about Coach White, his players, and where they are now was exceptional. The legacy he created within such a short period of time and the positive effect he had on that community is extremely impressive. I thought it was an excellent way to end the film! I have loved Kevin Costner ever since I saw Field Of Dreams for the first time as a kid. Ray Kinsella’s decision to actively destroy his crops in order to build a baseball field seemed crazy to most but created such a bold performance for Costner. As a result, I have always been drawn to the majority of films Costner has played the lead role in. Check out the pictures below for a few of my favourite Kevin Costner-centred films. The Guardian is one of my all-time favourite dramatic films as it is full of passion, witty lines, and dramatic moments. 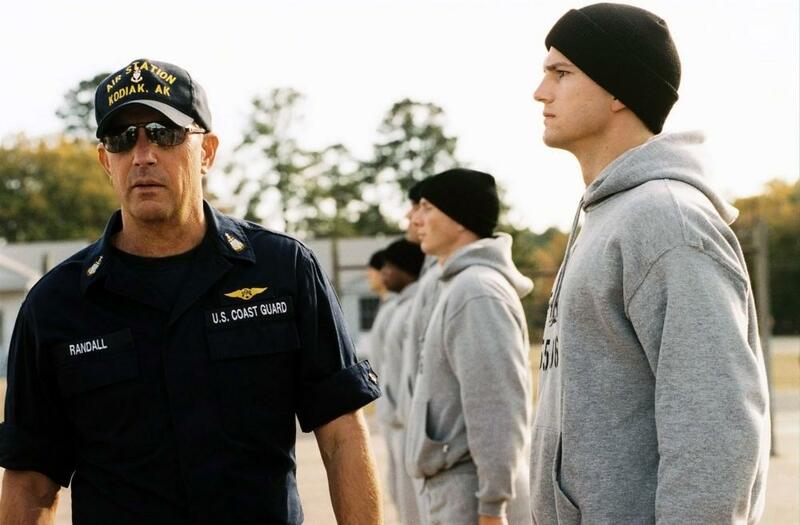 The evolution of the instructor-student relationship turned Coast Guard brotherhood between Kevin Costner and Ashton Kutcher is perfect. I highly recommend this film for a girl’s night in with friends! 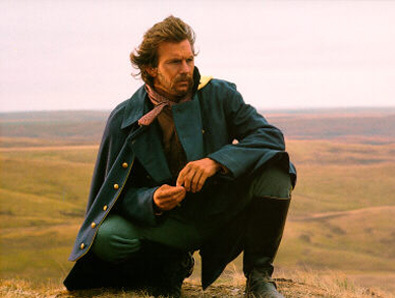 Lastly, Costner earned two Academy Awards in the categories of Best Picture and Best Director (as well as a nomination in the category of Best Actor), for his excellent performance as Lieutenant Dunbar in Dances With Wolves. This is a brilliant film that follows a Lieutenant that is placed at a western Civil War outpost and his dealings with the wildlife and First Nations locale of his area. 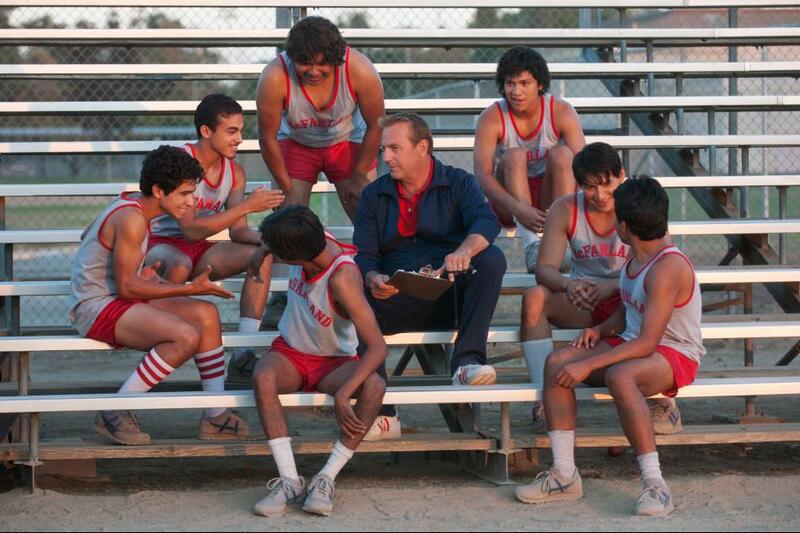 Bonus: Don’t forget to check out the first link below for the official McFarland, USA trailer. Also, both the written article and the second video feature excellent interviews with the real Coach Jim White that the film is based on.